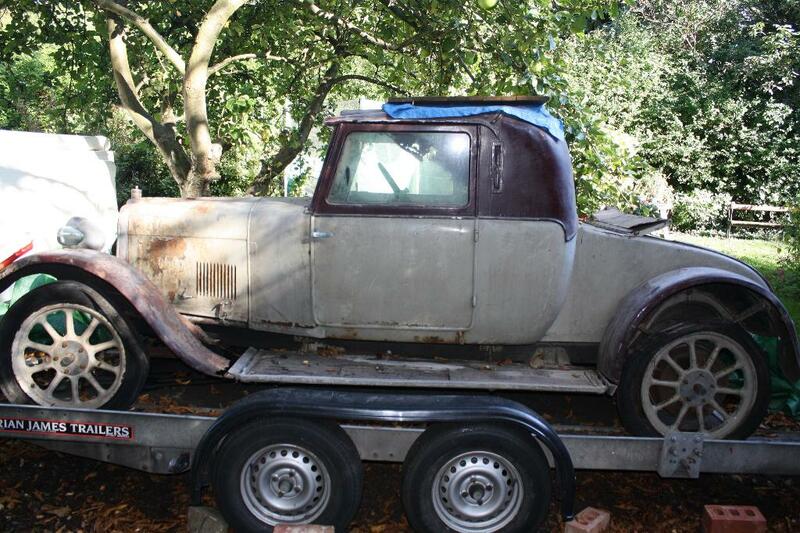 Rescued after having lain in a garage in Gloucester after 60 years, this unique car is now very reluctantly offered for sale. The one-off body by Darracq has real charm and with the neat sunroof it has the best of both worlds – a comfortable fixed head, with the fresh air of a sunroof and wind-up windows. 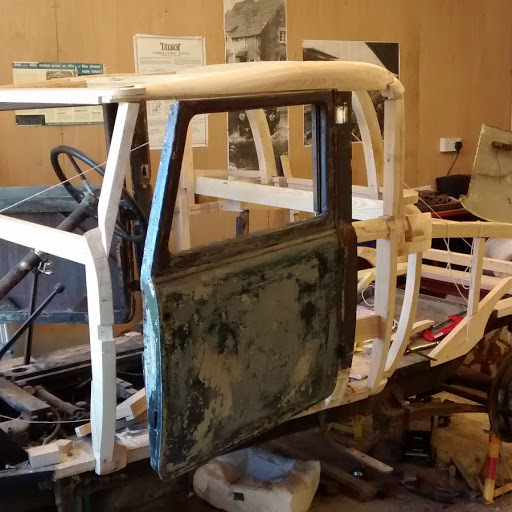 The original ash frame was in a state of collapse when the car was rescued, but it has been carefully taken apart (before it literally fell apart) and copied. Most of the frame has now been renewed. 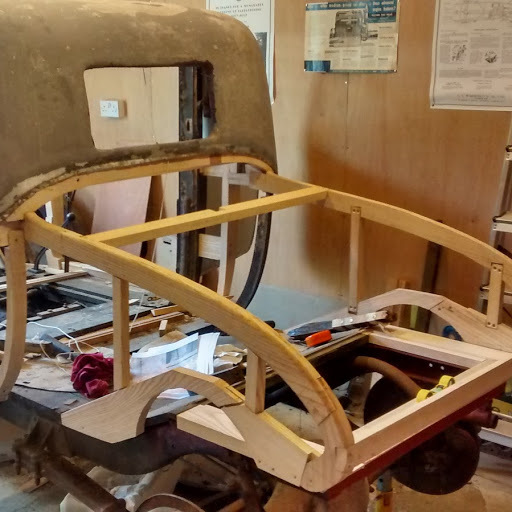 The car was complete with all fittings and fixtures, including very good leather for the bench seat backrest ( there is new leather ready to recover the rebuilt cushion, and for detailed finishing of door trims etc.). The speedo and clock have been rebuilt professionally, and there is a rebuilt switchboard ready for installation. The very good artillery wheels have been stripped and painted, and a new set of tyres/ tubes are ready for fitting. The radiator has been tested and been the subject of minor repairs. All the internal finishing wood trim has been stripped and repolished, including the dashboard. The chassis is very sound indeed, simply needing cleaning and painting. The engine is free and even reveals compressions when turned over; valve gear is spotless suggesting that perhaps work was done on the Engine when it was laid up in the early 1950s. All gears select. This is a unique opportunity and will make a striking and charming Talbot to be used and enjoyed for years. Please do not respond unless you are willing to continue the restoration; I will not sell for the car to be broken or made into a special. It really does deserve to ‘live again’. Ring for an initial chat: David Booth. 07779 023830.